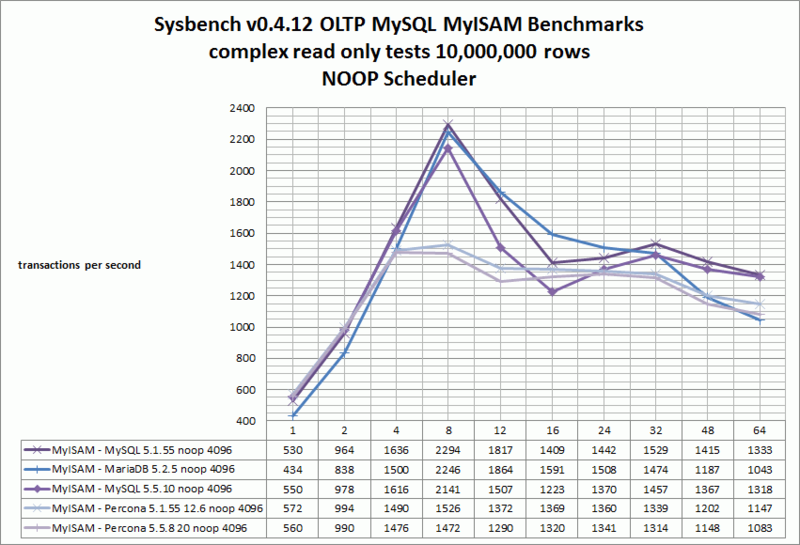 It’s not everyday that I get the opportunity and access to a 64 cpu core monster server with Quad Intel Xeon L7555 1.86Ghz Nehalem-EX processors and 64GB DDR3 memory! 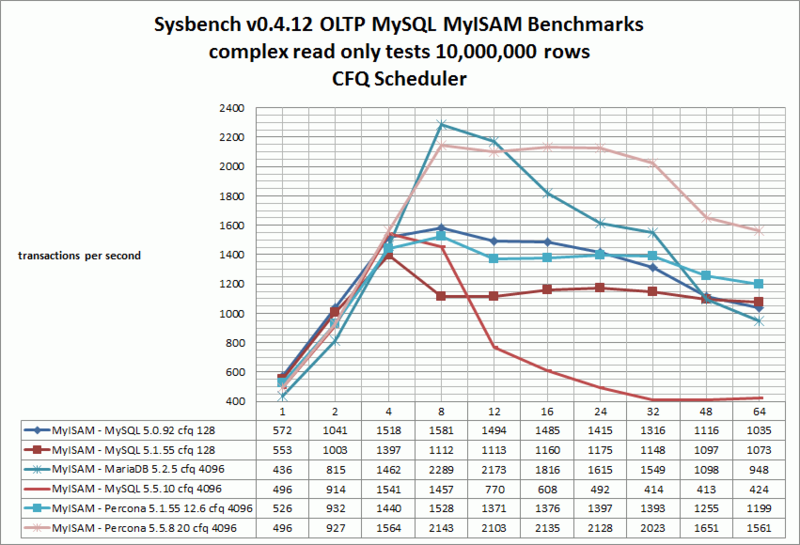 Yes, technically it’s 4×8 = 32 physical cpu cores with additional 32 virtual cores via Intel Hyperthreading. I’d like to thank Stewart (woostar) for allowing me access to his new server for a few days. 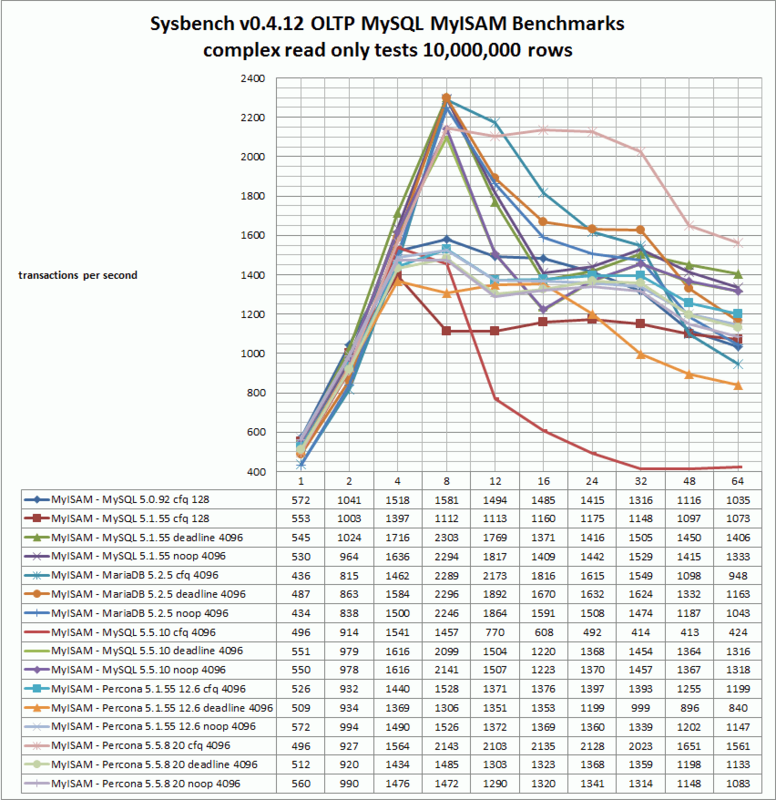 So I decided to run some MySQL server performance benchmarks to see how different MySQL versions and forks performed in terms of cpu core scaling. 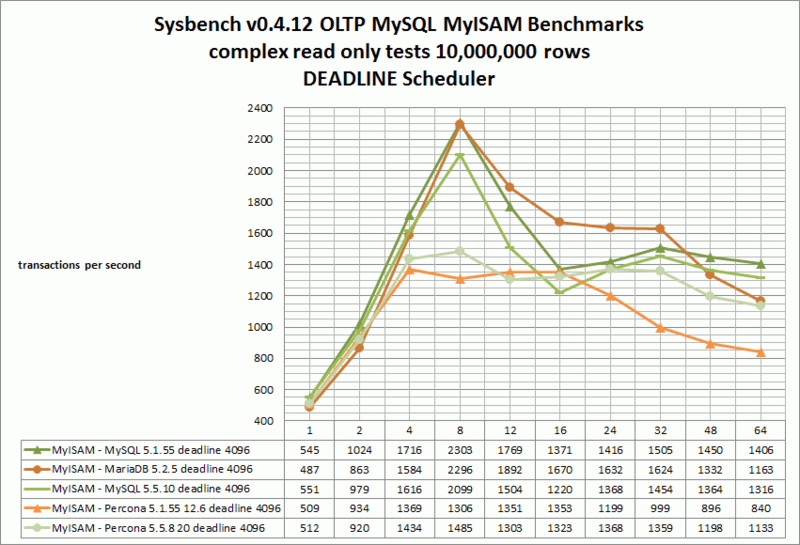 Most MySQL benchmarks I have seen only focus on InnoDB storage engine performance, but in the context of vBulletin and wordpress usage where most users are still predominantly using MyISAM tables, I decided to also test MyISAM storage engine performance as well.